Pray Chiropractic offers the area’s most advanced Deep Tissue Laser Treatment which penetrates deep into the tissue to reduce inflammation at the cellular level, accelerating the healing process. 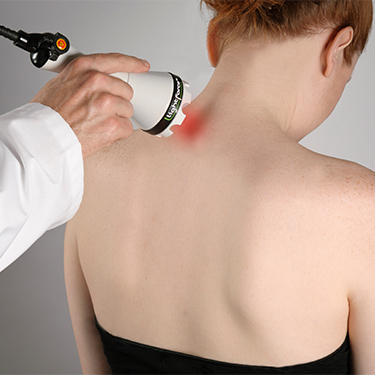 Deep Tissue Laser Treatment is non-invasive and painless. Our newest 15-watt deep tissue laser produces incredible results in reducing pain and accelerating your healing. This scientifically supported, surgery-free and drug-free solution breaks up adhesions and jumpstarts your healing. We usually recommend a series of sessions with each building upon the previous. If your chiropractor thinks that you may benefit from laser therapy, they’ll recommend it in conjunction with your chiropractic care. Acute cases may get the best results from laser therapy in conjunction with spinal decompression. Reduce your dependency on medication and start feeling great. Contact us today to schedule your complimentary pain evaluation!